My Breakfast & Lunch Cookbook – Only $6 on Amazon!!! 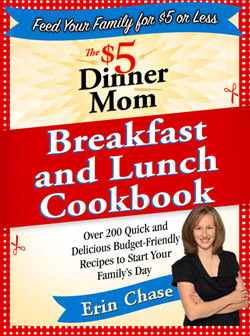 My 2nd cookbook, The $5 Dinner Mom Breakfast and Lunch Cookbook is just $6 on Amazon right now! Not sure how long this price will last…great gift idea!! !